Abrasive blasting is a technique used to prepare and clean a surface. This is completed by using a high-pressure spray of steam onto a dirty damaged surface. This technique not only cleans the area but also smooths or roughens the surface, can shape the surface and remove any unwanted foreign matter. BUSS utilises the abrasive blasting technique for the preparation of steel and other materials for a new coating. It is also used to remove corrosion deposits and previously applied coatings, as well as a finishing process. Furthermore, it can be used to apply a non-slip surface to walkways and high foot traffic areas. BUSS use special high-pressure abrasive tools and steel grit for a superior finish, in accordance with our client specific requirements. The most frequent use for protective coatings is for when there is steel corrosion such as bridges or exposed platforms. Protective coatings can also be used for fire resistance purposes. This is when we forcibly spray a heavy pressured stream of water onto the steel or concrete to either smooth a rough surface, roughen a smooth surface, shape the surface or remove any build up of condiments. An abrasive blast will remove any existing coatings or can be used to expose the aggregate for the purpose of aesthetic value (such as decorative patterns). The non-slip profiling is a to result with the desired texture of the ‘profile’ of the concrete surface. BUSS compliments the preparation of abrasive blasting with the application of industrial coating systems designed to protect concrete and steel surfaces from corrosion, weathering, acid or fire. Coating systems include silicone, zinc, epoxy and polyurethanes. 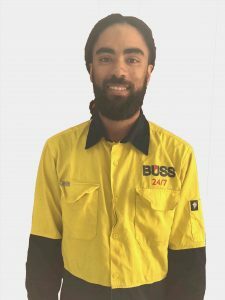 With two decades of experience, BUSS have done numerous projects that utilise this technique and works have been executed to the highest of industry standards. At BUSS, we approach each project and circumstance differently, as each project has different needs. Only an on-site inspection can verify the scope of work that would be applicable to the property for abrasive blasting. Do you need our services? Fill out this form to get in touch. BUSS is a privately-owned and operated company with operations Australia-wide. 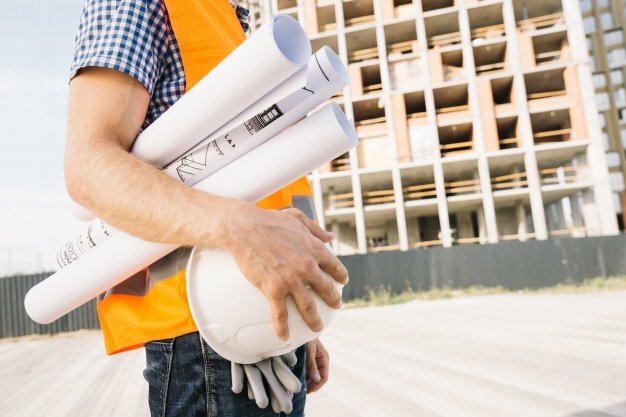 We are a specialist contractor, commercial & industrial water proofer and sealant applicator with two decades of experience in the construction and remediation industry. Marc has been the managing director of BUSS since June 2012 and has over 25 years’ experience in developing small to medium enterprises. Marc established BUSS to satisfy the market demand for specialist remedial services. Marc developed his team and together BUSS has over 40 years combined knowledge and experience. 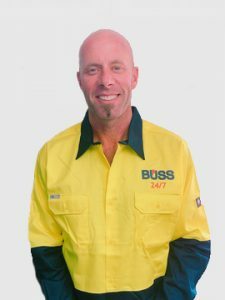 Marc established BUSS to provide superior remedial services to the Perth market based on his motto “Do it once, Do it properly”. Marc oversees the overall management of BUSS, including strategic planning and business development. Marc continues to implement strong business systems through training programs and key personnel recruitment. Company growth has been ensured through strong, long term relationships with some of Perth’s highest profile companies. Marc has championed BUSS’ unwavering stance on safety in the workplace and is accordingly proud of an exceptional safety record. 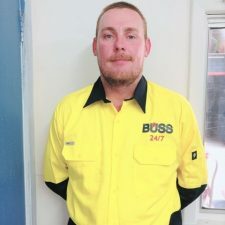 Marc is driving the development of BUSS training programs in partnership with TAFE and is passionate about developing a qualified education system for the remedial industry. Marc leads BUSS by example with excellent people management, organisational and communication skills. Marc demonstrates the technical ability, business insight and the capacity to maintain lasting and profitable relationships. 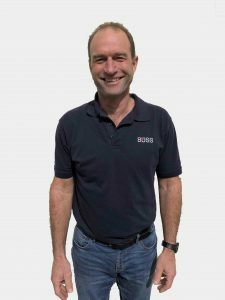 Jules is the senior estimator at BUSS and brings with him his wealth of knowledge of the remedial industry. Jules came to BUSS last year and his technological knowledge of concrete repair products, protective coatings and waterproofing is second to none. 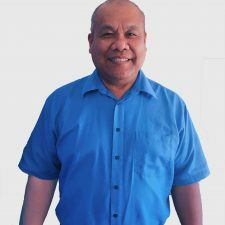 Jules originally comes from the Philippines, but has lived in Australia for over 10 years and has a degree in Civil Engineering. Jules is a strong team player, innovative thinker and an overall great asset to the BUSS team. In his spare time, Jules loves to surround himself with music. Whether it be playing in his band, singing and or listening to all types of music in his downtime, that is where you will find Jules. Graham has more than 20 years’ construction and marine industry experience as a Project Manager. His strengths include robust programming and works coordination for complex public projects, strong safety focus, quality workmanship and excellent communication skills with team and clients. Graham holds a Certificate IV in Frontline Management and prides himself on being readily available for our clients when requested. With experience also in estimating, project scheduling, risk assessment and equipment testing, Graham is a great all-rounder project manager within the BUSS team. Having project managed both large and smaller scaled projects, Graham knows the importance of accuracy and getting the job done properly. 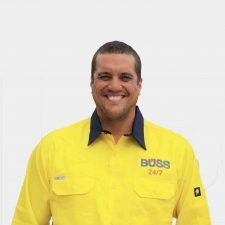 He is a strong leader and drives our BUSS field staff to provide the best service and quality. In his down time, Graham enjoys being out in the ocean. Surfing, fishing and diving all being a large passion of his outside the workplace. 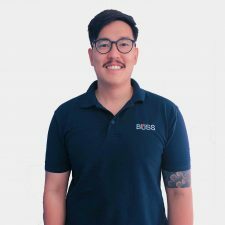 Nathan is a Project Manager and Estimator and started with us at BUSS in late 2018. 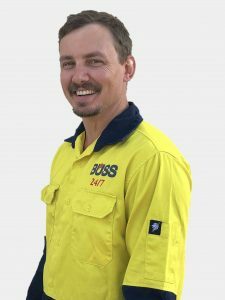 Nathan has been in the industry for a few years and previously has worked on a mine site in a project manager role. 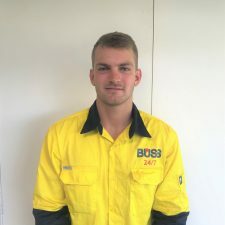 With his knowledge of concrete repair, waterproofing and protective coatings, Nathan is a welcomed team member to the BUSS Group. Nathan holds an Honours Bachelor of Engineering (Chemical Engineering) and a graduate certificate in Project Management. Nathan’s can do attitude, approachability, strong work ethic and overall dedication to BUSS makes him a highly valuable member of the BUSS team. When not working hard at BUSS, Nathan likes to go mountain biking, play beach volleyball and work on his personal development. Sue has been working as the BUSS Office Manager for 5 years and during that time she has watched BUSS grow to become industry experts in the remedial construction industry. Sue has a finger on the pulse of everything happening at BUSS from accounts, HR, admin through to database management and answering the phone. Without her, we would be lost. 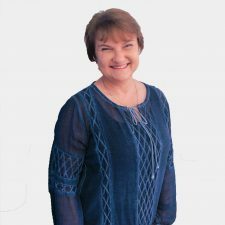 Previous to BUSS, Sue has come from a career in administration/operations manager at the Yellow Pages and then as the office manager for Brad Tonkin Consulting. For relaxation, Sue takes a good book and head’s down south for a long weekend, or joins her husband for a trip to Rottnest. 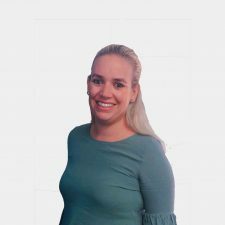 Greta is new to the remedial construction industry but offers a wealth of knowledge in front of house operations, marketing, website design and social media. Having obtained a Bachelor of Marketing and Public Relations and a Postgraduate certificate in Internet Communications (with special interest in Social Media), Greta is our guru when it comes to everything digital. Greta lived in London for a number of years where she worked in an operations coordinator role at Orient Express (now known as Belmond) and then returned to Perth and worked for a year at a digital marketing agency. At BUSS, Greta now gets to combine her love of administration work and digital marketing as our Administration and Marketing Manager. In her spare time, Greta enjoys taking her dog out for walks, cooking food for her friends and family and enjoying everything that Perth has to offer. Beverly (more commonly known as Bev) is our Proposal Coordinator. Bev is constantly has her finger on the pulse with the jobs that are open for tender around the Perth/Metro area. Having been in the industry for 11 years, Bev’s knowledge of the tendering/bidding process is second to none. 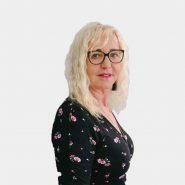 With qualifications and extensive knowledge in advertising, marketing and sales/business/creative writing, Bev assists our operations team with their tender submissions. When Bev isn’t on the hunt for tenders, she loves to travel, read and let her creative writing juices flow. 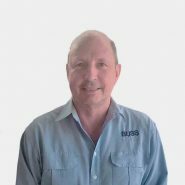 Gary is one of our Supervisors at BUSS and brings with him over 30 years of industry knowledge. Gary’s knowledge of concrete knows no bounds, from building his house from the ground and up to running large scale projects (including on mine sites), Gary is a great asset to the team. Gary’s attention to detail, time management skills and problem solving capabilities make him a valued and respected supervisor to both our team and our clients. In Gary’s down time, when he isn’t working on house renovations, he has teamed up with friends to offer their knowledge and expertise in teaching people how to trade forex and crypto currencies. Mark or more commonly known as Brocky, has been in the protective coatings, remedial construction industry since 1998. With a wealth of experience in the mining industry, UHP Water Blasting, Abrasive Blasting, Polyurea coatings and ticketed for Bobcat excavators and trucks, Brocky’s knowledge of the remedial concrete industry seems endless. 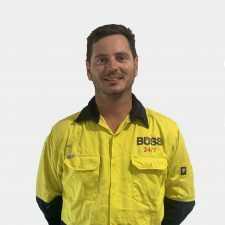 The Supervisory role that Brocky takes on within BUSS Group brings his experience with safety and approachability with fellow workmates and the client is beyond welcomed on every site. 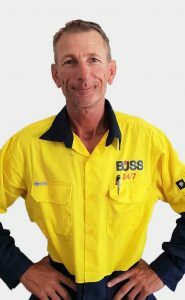 Brocky lives in Perth and has traveled Australia working throughout many mine sites. His passion outside of work is related to anything water orientated – swimming, surfing, kiteboarding, diving, skiing, boating, motocross and mountain biking, just to name a few. These sports are shared with his 2 boys and partner. Clayton has been in the remedial construction industry for over 10 years. With a special interest and experienced skill set in waterproofing with polyurethane resin coatings such as Sikafloor 400n Elastic and negative waterproofing using Xypex system, makes Clayton’s attention to detail second to none in the waterproofing industry. Clayton’s attention to detail and strong knowledge in the remedial construction industry makes him a great Supervisor for BUSS and a team leader. In his down time, Clayton likes to relax with his family, play basketball, watching sport in general and also travels whenever he gets the chance. Seaton is a quick learner and a strong team leader at BUSS. He was originally a residential and commercial carpenter but chose to follow in his father Marc’s footsteps and work at his dad’s company, BUSS. Seaton holds a certificate II in Carpentry and Joinery. He has a wealth of knowledge from his years of experience at BUSS in waterproofing, silicone application, storeman duties and project management. He is qualified for test and tag and maintains all equipment at BUSS. When Seaton isn’t working hard on site and leading the team, he likes to travel and spend time with his friends and family. Thomas is a Leading Hand and an enthusiastic individual with strong attention to detail. Originally from Ireland, Thomas has lived in Perth for a number of years and has been in the construction industry for 17 years. Thomas has extensive experience in identifying problems and coming up with reliable solutions. Having overseen jobs and guided team members, Thomas is a loyal, reliable and a strong leader at BUSS and always willing to do go that extra mile for our clients and colleagues. When Thomas isn’t working, he enjoys going to live music events, is a big MMA fan and loves training himself too and playing pub sports like pool or darts with his friends. Ryan is an experienced professional with considerable experience in the building and construction industry. Having worked extensively in waterproofing, Ryan understands the complexities of water damage more than most. Ryan is skilled at waterproofing retaining walls, rooftops, planter boxes, ponds, tanks and mechanical rooms. He has worked with silicone and sealants to wet areas internal and external. Furthermore, he has a vast knowledge of decorative flooring. With experience in epoxy flooring, polished concrete and more. When Ryan isn’t working on site, he has a strong interest in Sound and Audio production and has previously worked in the production industry. Jordan is a highly motivated field team member at BUSS. He has ample experience in the remedial industry, having worked in it for 16 years. Jordan is highly knowledgeable in waterproofing liquid membrane application, sheet membranes and torch on products and holds an accreditation in Ardex sheet membranes. Having worked in both as a general labourer and in more specialist industries, Jordan knows what it takes to get a job completed to the highest of standards. When he isn’t on site, you will find Jordan spending time with his family and friends or off enjoying everything that Motocross has to offer. With his love of Motorcross comes his love of the great outdoors, you’ll often find Jordan riding the enduro trails. Dylan is a specialist applicator at BUSS and has been working in the remedial construction industry for the past 3 years. With his primary focus being concrete repairs and applying waterproofing membranes. With extensive knowledge on Sikaplan WP sheet waterproofing membranes, he expertise and dedication to all jobs makes him a highly valued field staff member. In his spare time, Dylan likes to go surfing, do Motocross and go camping. Outdoors is Dylan’s favourite place to be.